Politics, it seems like, is one of those few things which hardly changes irrespective of the era, location or any civilization.It remains the same & carries with itself the same flavors throughout the time. Back in 1945, the famous Journalist & author Eric Arthur Blair, better known by his pen name George Orwell, described a Dystopian Society in his one of the famous works, Animal Farm.Inspired by the Stalin's era & being anti-soviet, it described how the rich exploit the so-called unfortunates through the games played by them for their own selfish benefits.He depicted this through a perfect analogy of politics in an animal farm, as how the powerful animals exploited the weaker ones, convincing them at every step, promising them benefits & in-return further making them weaker. 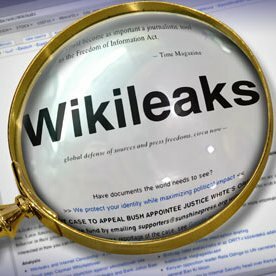 Coming back to the present.It wasn't surprising to find Wikileaks, which created some biggest international headlines & controversies last year, not even being considered for Pulitzer Prize (America's top Journalism Award). As informed by the officials, it came to notice that Wikileaks couldn't even submit its reportings because of a single reason that it did not belong to any location & was not registered anywhere on the globe.As can be understood from this Forbe's article here.
" Only American organizations are eligible for U.S. journalism’s top prize. So WikiLeaks, which is officially based nowhere in particular, couldn’t apply on its own." Of course, at the end of the day, mightier keep getting mighty.It will give explanations & reasons & would convince in every possible manner to keep its Power.Animal Farm indeed ! Don't know if its because I haven't read much of your blog (or for that matter any blog) but I feel there has been a shift in the topics on which you write on. From slightly private, things are becoming more social and universal. Great, I enjoy such topics. Hope the change makes you gripped & you keep visiting us & writing too..!